← Where do Scout Leaders get plugged in?? I had the benefit of attending a Little Philmont event over the weekend hosted by my district. 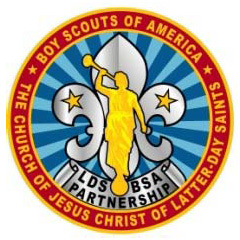 Having been my first LP experience, it was like a mini version of our council’s University of Scouting…”mini” in that the duration was shorter but the content was of equal greatness! Similar to how I feel after a day at UoS, I could spend a whole week absorbing the perspectives that are shared at adult leader training opportunities like this. Hmm…putting into action the things they learn at church…I just talked about that last month in a post about Living the Scout Oath and Law. This statement also supports my follow-up thoughts on the importance of helping our youth see that to be a tool in thy hands, they must go forth and do. This presentation also touched on the importance of adult leaders needing to raise the bar. We have a responsibility to practice what we preach here as well. To help illustrate this point, a handout was provided that maps commitment levels in our Young Men programs to the three degrees of glory. What a great way to think about the job we were asked to do. Take a look at the attached PDF of this matrix and use it to see where you may need to raise the bar in your scouting unit. Personally, it’s not hard to find great value in what’s taught at these supplemental trainings. They have proven to be enlightening and inspiring for me on a number of different levels. Oh, what I would do to attend a Priesthood Leadership Conference on Scouting at the Philmont Scout Ranch! 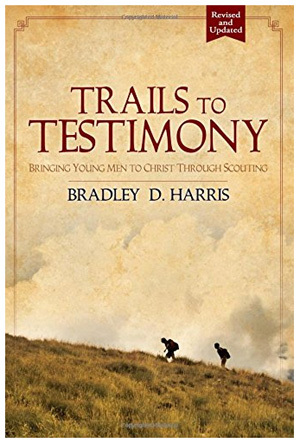 This entry was posted in Leading by Example, Training and tagged aaronic priesthood, boy scouts, bsa, commitment matrix, go forth and do, lds, lds church, lds-bsa relationships, little philmont, philmont scout ranch, priesthood leadership conference, raise the bar, scout law, scout oath, supplemental training, three degrees of glory, university of scouting. Bookmark the permalink.